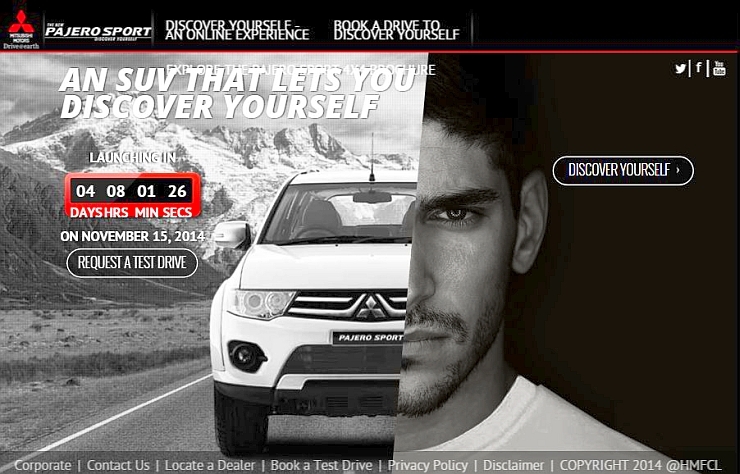 Mitsubishi India has released teasers of the upcoming Pajero Sport 4X2 Automatic SUV. Bookings of the facelifted Pajero Sport 4X2 Automatic are now open in India. The launch of the SUV will happen on the 15th of November, 2014. Mitsubishi will assemble the automatic variant of the Pajero Sport at the Hindustan Motors Tiruvallur factory in Chennai. This is the same approach that the Japanese automaker has taken with the manual geared, 4X4 variant of the Pajero Sport SUV as well. 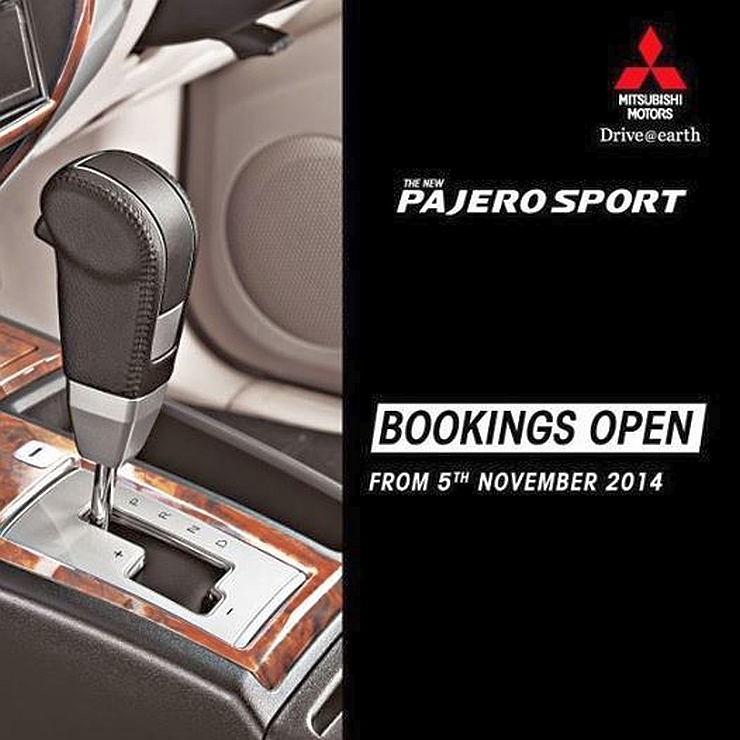 The Pajero Sport Automatic dispenses with the four wheel drive system for a rear wheel drive layout. This move is chiefly to keep costs in check as adding an automatic gearbox to the 4X4 variant of the Pajero Sport would have pushed costs higher, leading to a steep price tag. Doing away with the 4X4 system on the automatic variant of the SUV is expected to give Mitsubishi enough leeway for an affordable price tag, what with Toyota readying up a cut-price, 2.5 liter engined Fortuner for a launch in India. The Pajero Sport Automatic fill up the void that the SUV had in its portfolio by not having an automatic gearbox option. Luxury SUV buyers who primarily use their rides for city commuting favour automatic transmissions, a feature that the market leader, the Toyota Fortuner offers, along with almost every other 7 seat luxury SUV operating in the sub-30 lakh rupee segment. The Pajero Sport’s Automatic variant is likely to pep up sales of the SUV by a fair bit. The automatic variant of the Pajero Sport will use the 2.5 liter-4 cylinder turbo diesel engine with 177 Bhp-400 Nm outputs. This engine also does duty on the manual geared version of the SUV. In terms of other changes, the Pajero Sport will get a mild nip and tuck, on both the manual and automatic variants. The facelift will be limited to the cosmetics, in the form of a new front grille and fog lamp inserts. « Is Honda eyeing a comeback for the Civic Sedan with Diesel Power?